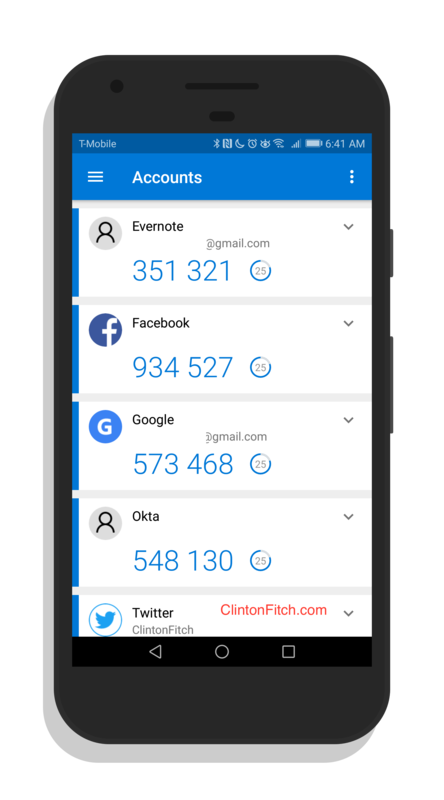 Microsoft Authenticator, the 2-factor verification app from the Redmond company, has a nice update rolling out to it for users. The new build, version 6.1.7 for those keeping score at home, brings fingerprint authentication to the app. What this will allow you to do is approve a login request by tapping the fingerprint scanner on your phone and not require you to enter the six digit code to approve it. It is all aimed at keeping things easier but also secure. If you haven’t tried Microsoft Authenticator, it works how you would expect a 2-factor app to work but it does so with a bit more flare by having avatars for your accounts. For example, you have the Facebook logo for your Facebook account, or the Google “G” with your Google account. It also has a nice, 30 second countdown clock next to each code so you know when it is about to expire. which you should! – you can select Google Authenticator as the app on your Android (or iOS) device and use Microsoft Authenticator. The Authenticator app is one of the newer ones from Microsoft for Android as they continue to push their apps and services to the platform. This is all a part of their mobile first strategy. The download of the app is free in the Play Store.